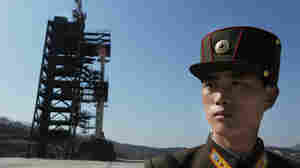 North Korea Threatens Nuclear Test Targeting U.S.
January 23, 2013  The threat follows the U.N. Security Council's condemnation Tuesday of North Korea's rocket launch in December. A U.S. official in Seoul said any such step by Pyongyang would be a "mistake." Why Is Google Exec Interested In North Korea? January 7, 2013  Eric Schmidt, Google's executive chairman, has landed in North Korea. His trip there is a bit of a mystery. North Korea's young leader, Kim Jong Un, recently set out a series of policy goals that included expanding science and technology as a way to improve the North Korean economy in 2013. Is North Korean Leader Kim Jong-un A New Dad? January 3, 2013  Kim Jong-un's wife, Ri Sol-ju, has been shown in new images looking much slimmer than she was just a few weeks ago. December 13, 2012  NBC News reports that U.S. officials tracking the object warn it isn't orbiting normally. South Korea's defense ministry says it may be a couple more weeks before it's known for sure if the satellite is circling the planet safely. December 12, 2012  Although North Korea claims the launch was a scientific endeavor to put a satellite in orbit, the U.S. and its allies were quick to call it a long-range missile test. That may conjure up visions of nuclear missiles, but strategy experts say such technology is still out of reach for Pyongyang. December 12, 2012  Japan says North Korea's action was intolerable. The White House calls it a "highly provocative act." The U.N. Security Council is expected to meet later today. 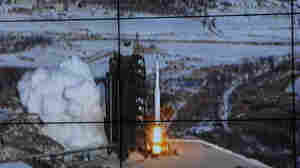 North Korea, though, insists this was a peaceful mission to put a satellite in orbit. It celebrated its accomplishment. December 11, 2012  The launch, which defies warnings from both the U.N. and the U.S., comes just days before the presidential election in South Korea. There was no immediate word if Wednesday's launch was successful. A previous attempt in April failed. December 4, 2012  As the first anniversary of Kim's death approaches, North Korea's official news agency has produced a somber tribute to his favorite parka. September 27, 2012  The 105-story skyscraper has been under construction for 25 years. A tour company has released photos showing where things stand and says the hotel may finally be finished in two or three years. July 25, 2012  Figuring out who the woman is who's been seen with North Korea's leader has been difficult. But is it North Korean pop star Hyon Song-wol? And did they rekindled an old romance? 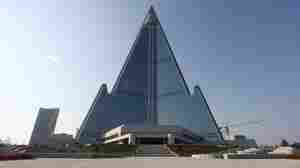 July 24, 2012  The government of North Korea has been pushing to open restaurants in cities around the world. Now there's word that the waitresses may also be spying on the customers, especially if the patrons are from South Korea. 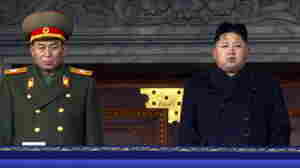 Military Chief's Removal, Rise In Hemlines: Hopeful Signs In North Korea? July 16, 2012  Kim Jong Un may have a love in his life. 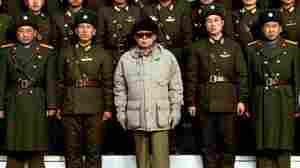 Now he appears to have pushed out one of North Korea's top generals and seems to be loosening up restrictions on "Western" wear and culture. Is Kim Jong Un's Mystery Woman The 'Excellent Horse-Like Lady'? July 10, 2012  It seems that North Korea's young leader may have reconnected with an old love. Observers think she's a singer who had some big hits in their famously secluded country. 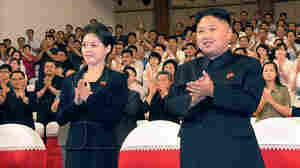 July 9, 2012  Video from Pyongyang shows Kim Jong Un enjoying the show as bogus cartoon characters danced. Next to him was a woman who has caused much speculation. Is she his wife or his sister? 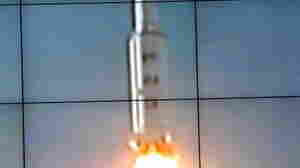 April 13, 2012  The disintegration of North Korea's latest long-range missile shortly after liftoff today increases the likelihood that the communist nation will resume testing nuclear weapons or take other provocative steps to show its strength, analysts say.